South Africa’s minister of communications Nomvula Mokonyane has named the members of the Broadcasting Digital Migration Advisory Council that will advise her on matters relating to digital switchover and the development of digital-terrestrial TV. The naming of council members follows the appointment of Aldred Dreyer as project director for the DTT Programme Management Office (PMO). The council will work with the PMO to advise the minister on switchover, including the countdown to Free State Province’s planned analogue switch-off at the end of this year. 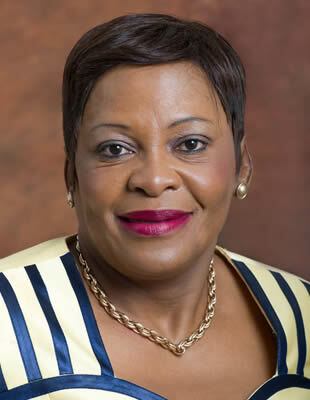 Mokonyane is currently reviewing the DTT switchover plan, and details of a revised model are expected to be released after consultation with the cabinet, including a new date for analogue switch-off. The advisory council will be chaired by Nomonde Gongxeka-Seopa, councillor with regulator ICASA. Other members include Dreyer, the head of the PMO, Nomsa Philiso and Michael Markovitz of state broadcaster SABC, Norman Munzhelele, regulatory chief at commercial player eMedia, Percy Mathabela of the department of trade and industry, Linden Petzer, chief director for radio and satellite applications at department of telecommunications and postal services, Thema Kinana of telecom operator Vodacom, Moses Mashisane of telco MTN, Tebogo Leshope, COO of technology outfit Sentech, Thabo Makenete of pay TV operator Multichoice and Sipho Mngqibisa of the Universal Service and Access Agency (USAASA).